The Alcantara National Park is a wonderful nature reserve which includes the Gola, are part of the Botanical and Geological Park. In the Alcantara Fluvial Park – Parco Fluviale dell’Alcantara in Italian – it is possible to take an excursion with a guided tour, visit the museums and historic centres as well as simply observing the nature. The views in this park are stunning! A nature lover will easily get lost through the beautiful and lush green nature and fresh clear water. The Alcantara river has origins in the Peloritani and Nebrodi Mountains and join the Ionic sea after 50 km. The entire valley is home to many animal species, especially migrating birds. The rich vegetation changes in the different stretches of the river offering a great variety of plans along the way. Allow yourself to be immersed in nature and simply stroll around the park to enjoy all the colours and beautiful sights it has to offer. The lovers of trekking can enjoy one of the many itineraries ( http://www.parcoalcantara.it/Eitinerari.php ) with all the stunning views along the way. While there is also the opportunity to take a stroll around the park on a horse to fully enjoy the nature. 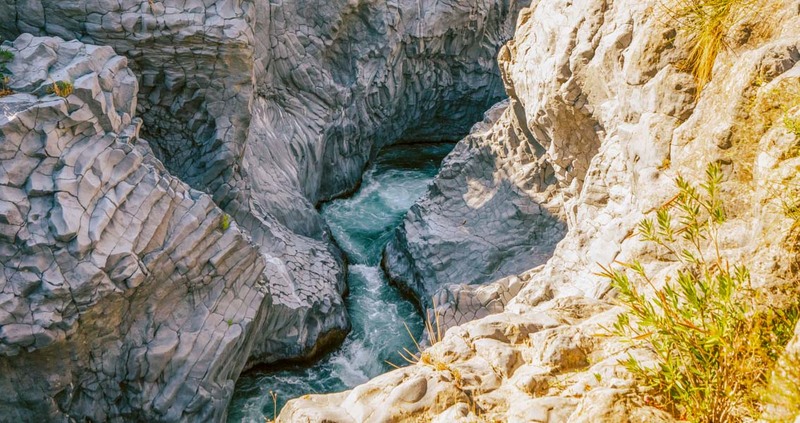 The Alcantara Fluvial Park is free to visit while the main attraction, the Gola, are part of the Botanical and Geological Park which charges an entrance fee. 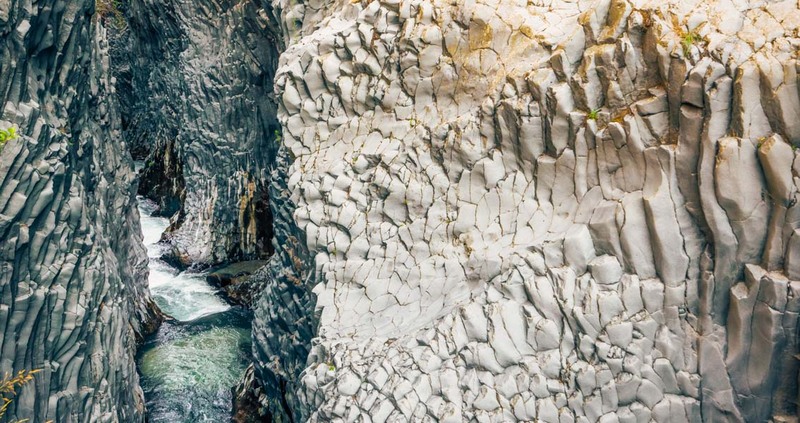 The Gola’s of Alcantara are canyons of volcanic origin famously renown worldwide. The basaltic walls are 50 meters high and are crossed from the Alcantara river creating pictoresque landscapes. The Gola is 400 meters long but currently due to safety reasons only 200 meters are accessible. Most tourist come just to see the main Gola but there are also 5 smaller gole and a few gurne (small lakes) that most tourist are surprisingly amazed by. If you are lucky, weather permitting and if there is enough water, you can bring your bathing suit and go for a swim! Admission Fee: €13.00 Full/ €11.00 over 65 / €9.00 children from 6-12/ €30.00 family ticket / €11 per person on groups of 10 or more.